Home / Coffee News / 6 Easy Ways To Keep Roasted Coffee Beans As Fresh As Possible! 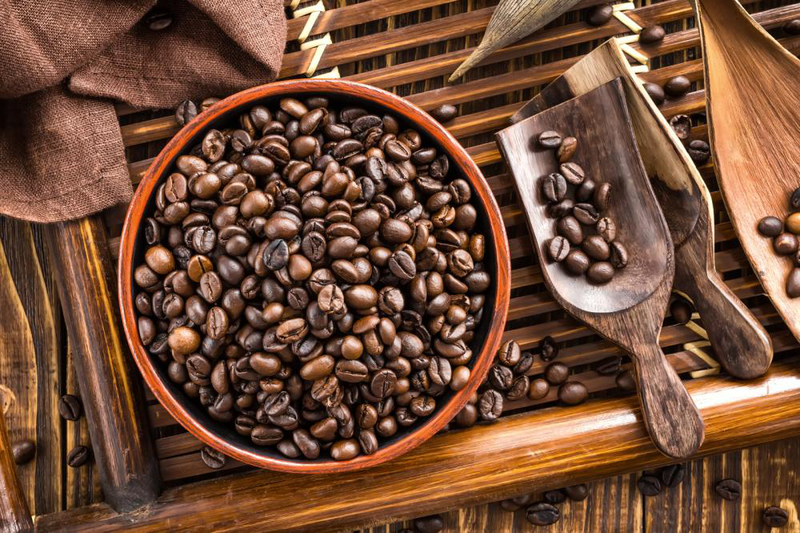 6 Easy Ways To Keep Roasted Coffee Beans As Fresh As Possible! Wondering what’s the secret behind great tasting coffee? It’s the coffee beans. For most of us, drinking coffee is a morning ritual. It’s one of the first drinks we need to have to get through an important meeting at work, ace a tough exam or beat fatigue. In order to maximize the freshness, aroma and flavor of your coffee, you need to store your fresh roasted coffee beans properly. Here are some simple tips for storing your roasted coffee beans the right way! First and foremost, keep your coffee beans in a solid container. Your best bet is to use an airtight glass, ceramic or canister container. Do not store coffee beans in a zip-loc bag. Zip-loc bags are harder to handle than containers. Do not place your coffee container under direct sunlight. Excess light and heat can ruin the coffee beans, especially if they are roasted. Direct sunlight can cause the roasted coffee beans to produce oil, making grinding very difficult. In addition, light, heat and moisture can significantly reduce the intensity of roasted coffee beans. One of the easiest ways to preserve the freshness of roasted coffee beans is to place your coffee container in a cool, dry place, but away from the window. Do not leave your coffee container open for too long. Exposure to air will cause the roasted coffee beans to deteriorate in a few days. Although it’s important to store roasted coffee in a cool place, do not refrigerate or freeze it. Keep in mind, roasted coffee beans are porous. In simpler terms, they can absorb smells easily. Not only will the smell of food items in your fridge spoil the fresh aroma of the coffee beans, but your coffee will become stale in a few days. It is a good idea to purchase smaller batches of roasted coffee beans. This is primarily due to the fact that coffee can lose freshness immediately after roasting. Smaller amounts of roasted coffee can stay fresh for a week or more. Finally, get your roasted coffee beans from a reputable shop, such as Custom Roasts. At Custom Roasts, we provide the finest quality specialty coffee and roasted coffee at unbeatable prices! Free shipping applies to all orders over $30.